Let’s face it: Getting in a productive flow doesn’t come easy. There are myriad things that can distract or make us unfocused at work—lack of accountability, boredom, a long commute, stress… The list goes on. But the good news is that our direct atmosphere is one productivity influencer that's within our control. While the wrong atmosphere can be distracting, the right atmosphere can stir the senses, motivating us to work efficiently and stay focused. Studies show that a person's work environment can impact their production output. Hence why more and more young companies and startups are investing in thoughtful design and office layout. So all the more reason to invest and be thoughtful in your 40-hour-a-week surroundings. Decorating an office, however, can be perplexing. How do we blend professionalism with personal favorites? Or discern décor that will encourage focus versus distraction? (For example, that long couch calling you to take an afternoon snooze.) In an effort to suss this out, we interviewed some of our favorite office designers to get their simple suggestions and strategies for decorating an office that's beautiful and functional. Because these two goals are not mutually exclusive. Create different workstations that suit your staff’s personality and day-to-day logistical needs. Sometimes simple observation will be all you need, or you can try interviewing your staff about what a perfect environment means to them. Same goes for designing your own personal office. “Start with great working ergonomics,” she emphasizes. Sure, we live in the digital age where all we need to do to acquire more file storage space is to update our iCloud account. But regardless, clutter is inevitable. You’ll need space for those digital storage devices and the working basics—pens, pencils, printing paper, notepads, dry-erase boards, easels, or important files. Now for the fun part, storage design. According to Davin, a clever office designer trick is to repurpose pieces you already own for storage. For example, a dresser turned to a filing cabinet or adding old bins and baskets to fill empty shelves. Or try using old dining chairs as chairs for your guests or a built-out closet with ample shelves to fill with woven baskets. Here, function and design intersect, as it adds a sense of home and personal style to your office space. If there is one thing that can make us feel sleepy and drained, it’s bad lighting. Especially traditional fluorescent office lights. As a smart and aesthetically pleasing solution to what we would call a serious aesthetic problem, pepper your office with lamps—big or small, standing or table. Lamps bring in a nice sense of relaxation and comfort (even with overhead lighting installed). “Table lamps instead of task lighting are a great way to make a desk feel warm,” says BHDM Design principal Dan Mazzarini. 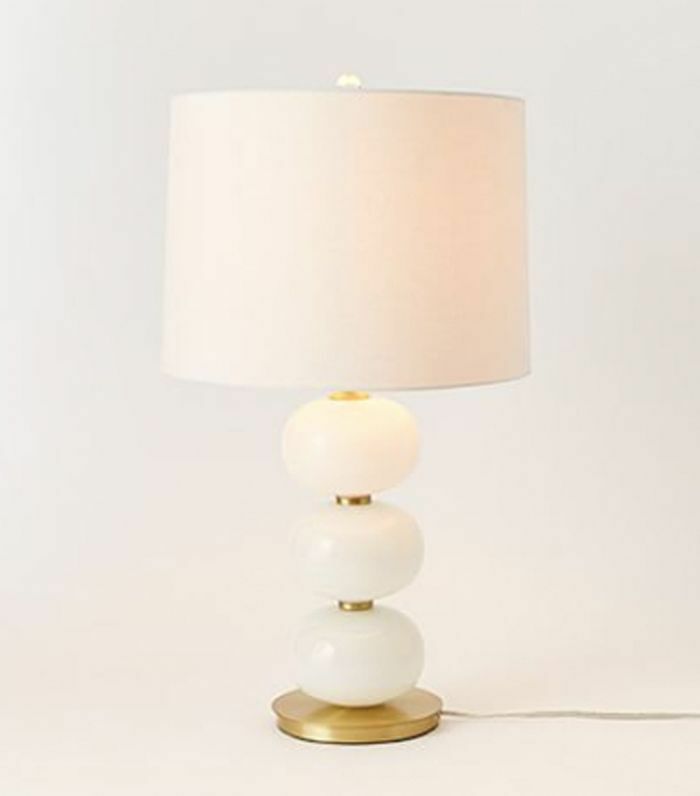 Plus, a beautiful table lamp can be the perfect statement piece on a simple desk. We know sitting all day is not great for our bodies, especially if we’re in an uncomfy creaky chair that invites us to slouch and shift. So use this information as an excuse to invest in a big comfy office chair that will encourage good posture and to get up to take breaks. When selecting your chair, keep the design top of mind. A chair can really pop out behind a plain wood desk or even serve as the focal point of the office. Plus, you deserve a throne to sit on. “Good looking is important, we love something with leather,” says Mazzarini. 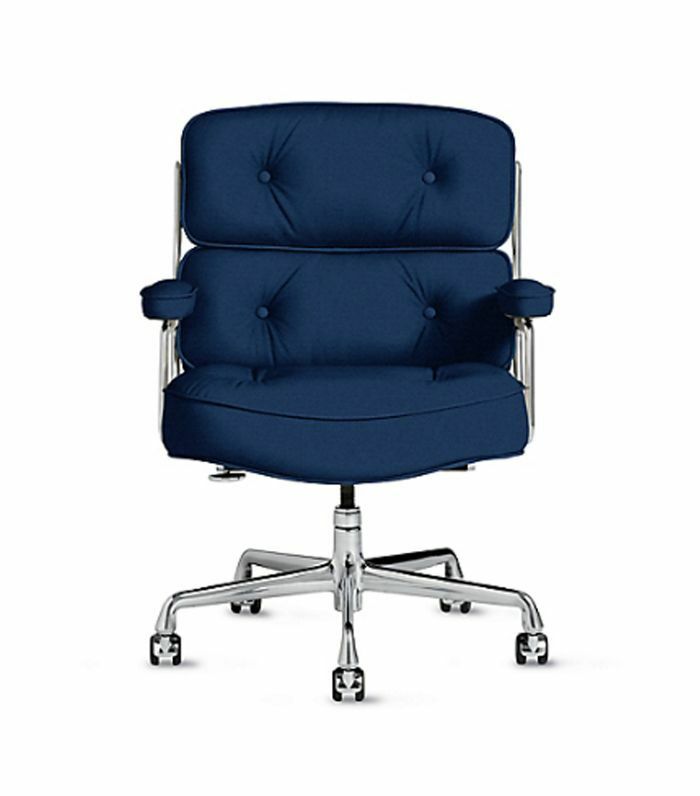 Mazzarini recommends the Eames Executive Chair from DWR in tobacco leather. Midcentury-modern design naturally lends itself to a blend of simple angular professional design with traditional home comfort. 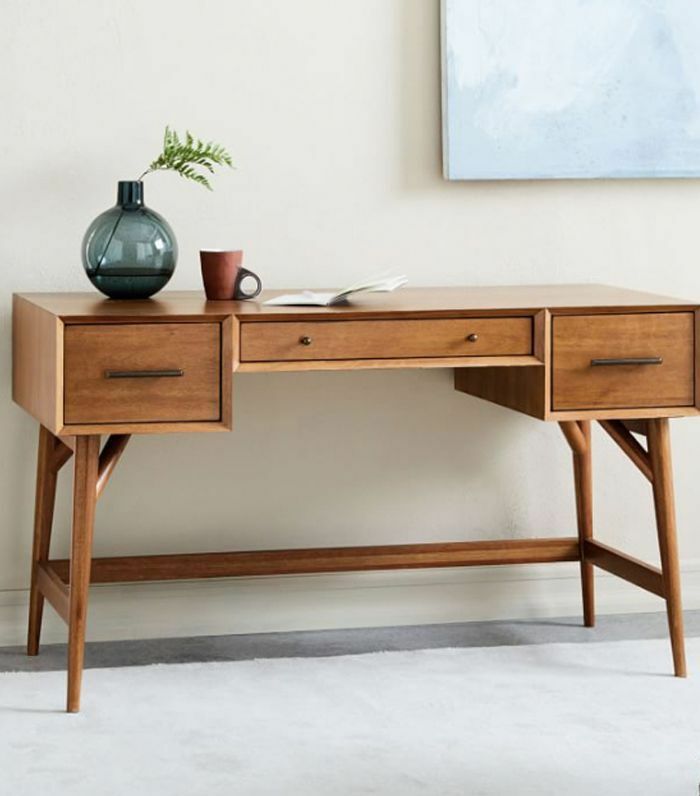 “The beauty of midcentury-modern design is the pieces are timeless, and they can be staples that won’t go out of style, so you don’t have to worry about updating your office furniture,” says Hobbs. Incorporate this look with walnut and solid hardwood furniture, suggests Hobbs: “Walnut and hardwoods in rich, deep tones can add a classic, refined feel to nearly any space.” Additionally, tufted side chairs are easily identifiable with the midcentury-modern period, especially the pieces made out of leather. 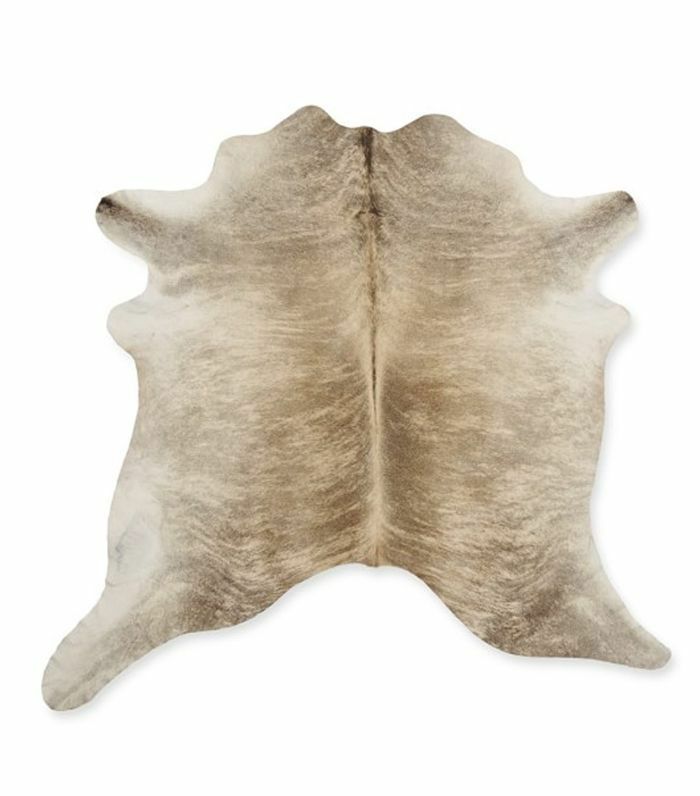 “Butterscotch, olive, white and black are leather colors often found on midcentury furniture pieces,” she says. Now it’s time to address affordability. 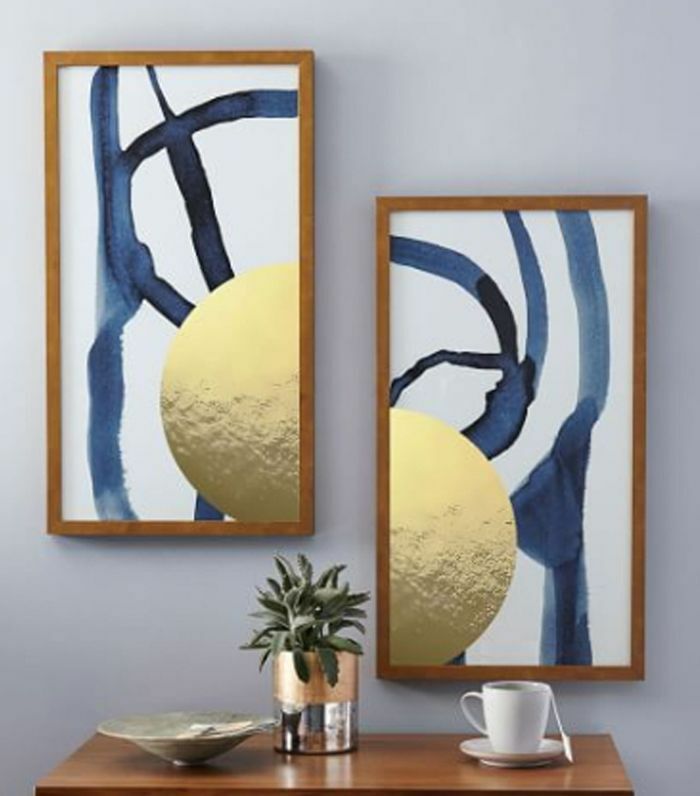 There are many affordable art pieces you can illuminate your office with but one of the best office designer–used tricks are mirrors, whether oversize to make space feel twice as big or small and decorative. 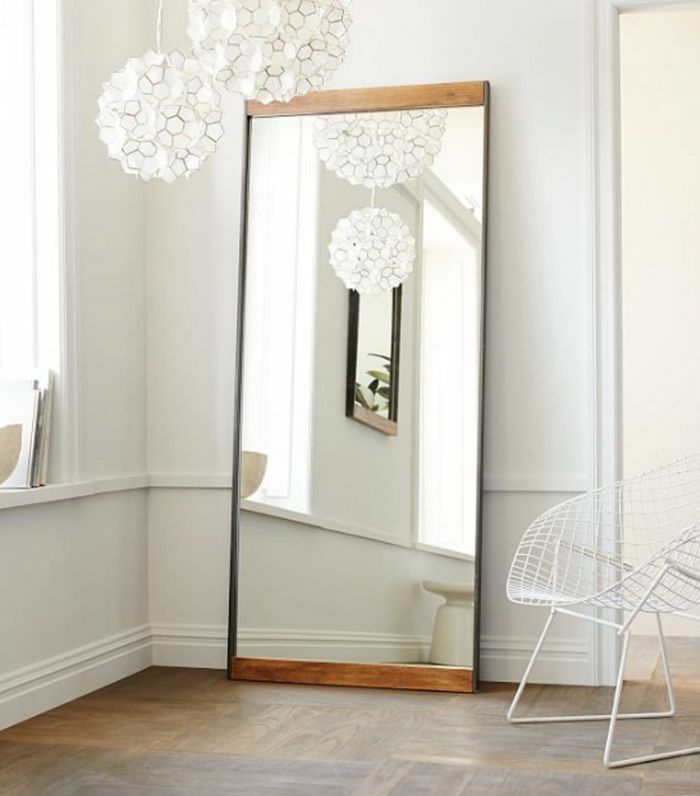 “Small mirrors placed in a series or grouping can be a creative and attractive display,” says Hobbs. Mirrors can also complete a space when you feel that you’ve filled it enough with wall art or because you simply want to take the less-is-more approach to your office composition. Have a big office to fill? Hobbs notes that the office entryway is prime mirror real estate. “Black and white are often forgotten colors,” says Hobbs. 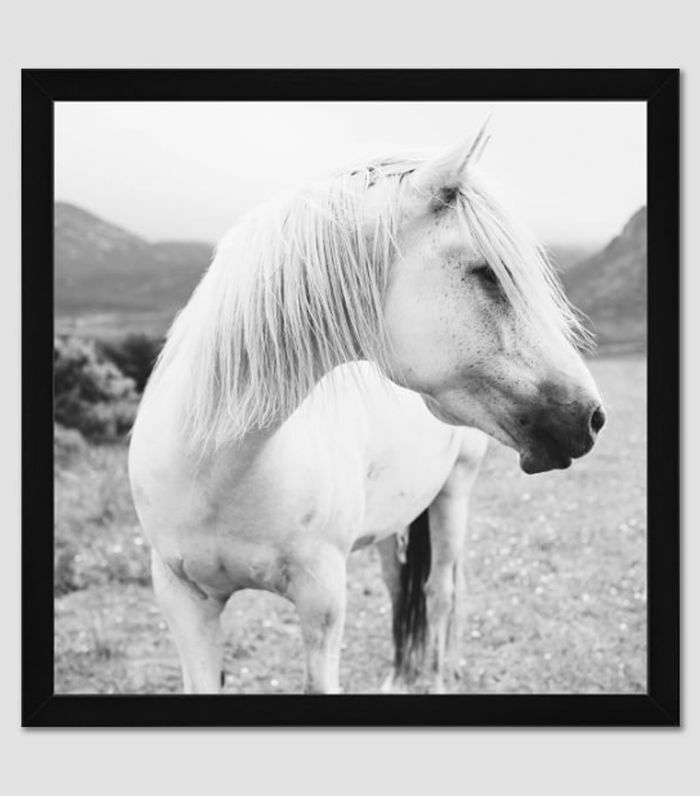 “If you’re looking for a modern and minimal look, consider black-and-white or even all-white artwork.” Black and white are a timeless, classic color scheme that is always hip and trendy. Because your putting the two classiest colors together the sheer allure of a black-and-white office is undeniable. Not only can you use black in white in furniture, but “black-and-white photography feels great,” says Mazzarini. If you opt for a gallery wall, Manzannari suggests trying a collection of art, layered or against the floor, with the same black or white color frame. Artwork divided into sections, such as the diptych and triptych, is a clever design go-to, advises Hobbs. Though the art is divided, they are hinged together visually as one painting, abstract design, or photograph. “This is a common design trick of interior designers to create the illusion of art in a series,” she says. Gallery wall not your style? Using this design approach is a great way to ground big empty walls with one eye-catching piece. Put up a photograph of you during your favorite zen vacation, adorn the room with greenery to give the mirage feeling of being outdoors. A beautiful candle can also work wonders. Think of it this way: When you look up from your computer after reading a detailed long email or because you need to quickly problem solve something, whatever you see should help ignite your brainpower.